As an Artist, there comes a time where certain moments in our lives are at the top of our list for accomplishments. The Unity/ Totem pole which I have recently finished for the Canadian National Exhibition, as one of their first commissions since the 1940’s is truly one of them! My task was to create a Pole which spoke to uniting of all Canadians as we strive for a better existence for us all in this beautiful country. 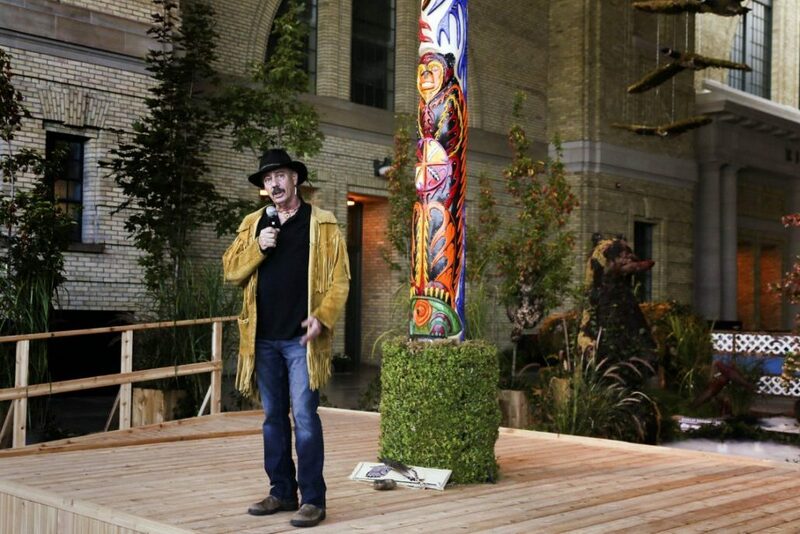 It was a pleasure to work with the CNE as they allowed me the full freedom as the artist, and Creator of the Pole, to tell the story that I saw for its existence. I work with images of Indigenous People, and the stories about them that I have learned in my Culture over the years. I have always taken the story of the people who are having the pole created, and transform it into its own story for us all to see as we visit it for many years to come. I am normally a stone carver, and it is very satisfying work for me. The wood though takes on a whole new feeling as it starts from a living tree, and transforms into a story to be realized by its giving of itself for the world. As I work the tree I can feel its spirit, its changes, and its transformation. I am truly blessed with this gift. Artworld Fine Art was pleased to have facilitated the commission of the Unity Pole by gallery artist Kris Nahrgang for the Canadian National Exhibition, erected on the grounds of the CNE. The pole was on display during the 2017 CNE, August 18-September 4.